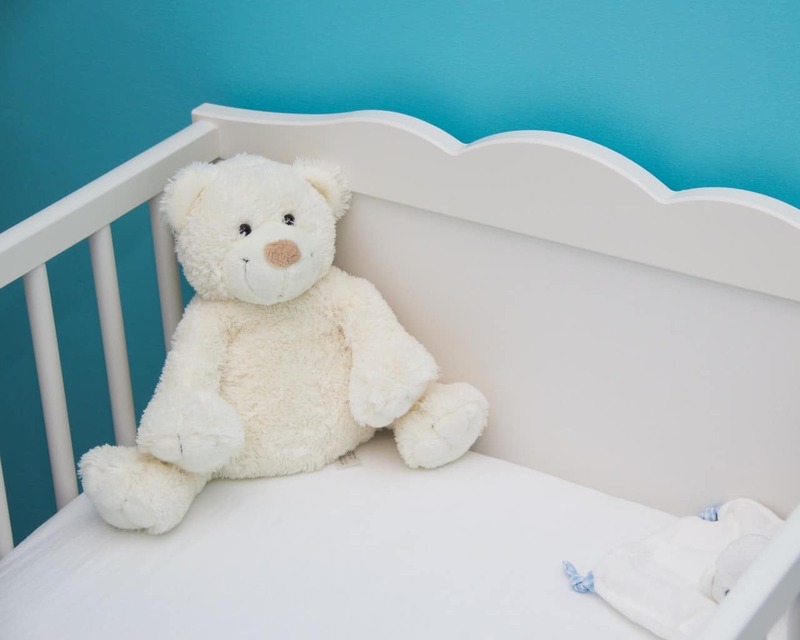 Choosing the right baby chair for your baby is not an easy job. There are a lot of factors that you need to consider while deciding and it’s only natural that you may get overwhelmed simply due to the sheer amount of the available options out there. 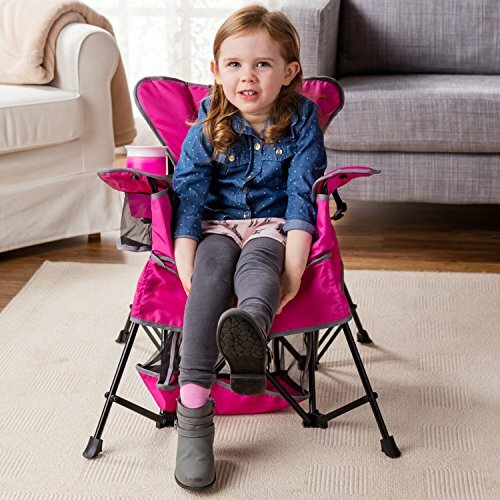 Factors like the size of the chair, the space you have available, its foldability capabilities for storage purposes when you are not using it, and above all, the stability and safety provided are some that come into play. 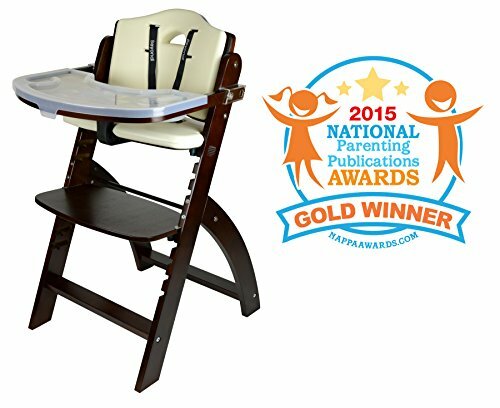 To cut through the market noise we have reviewed tens of the best seller baby chairs of 2017 and we have curated a list of the top 5 baby chairs for 2017 factoring in elements like security, convenience, safety, quality, and design. 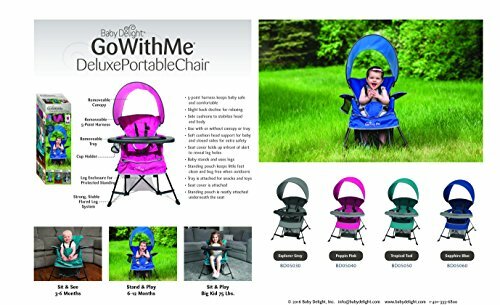 The first chair in our list of finalists is the well-cushioned, and ultra-portable Baby Delight Go With Me Chair which features multiple uses. 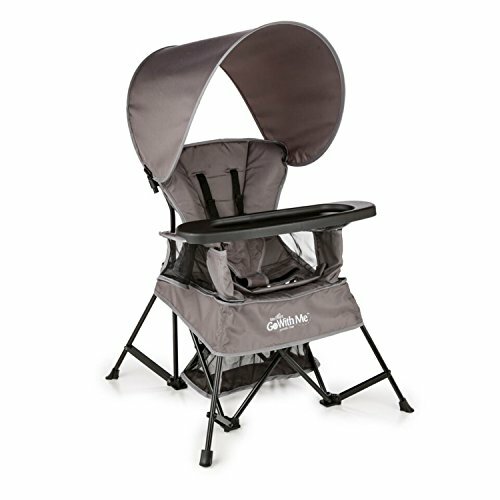 This baby chair is perfect for indoors as well as outdoors because of its removable sun canopy which protects your little one from the Sunlight. 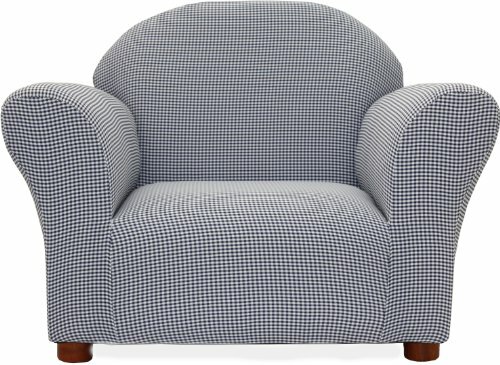 The chair has polyester fabric which makes it durable. The removable plastic tray is BPA-free. The standing net can be used as storage also. 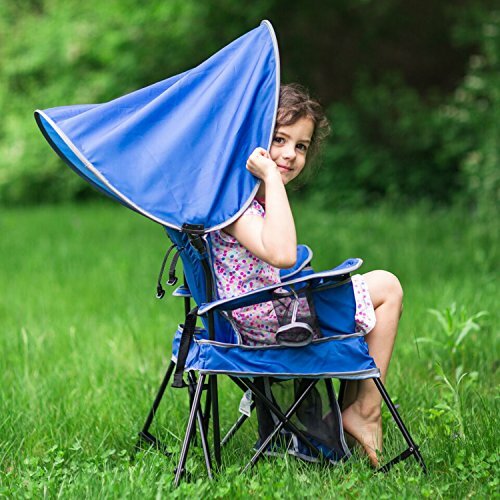 The leg holes are enclosed and protected with netting to provide protection from bugs or rough surfaces to the child. 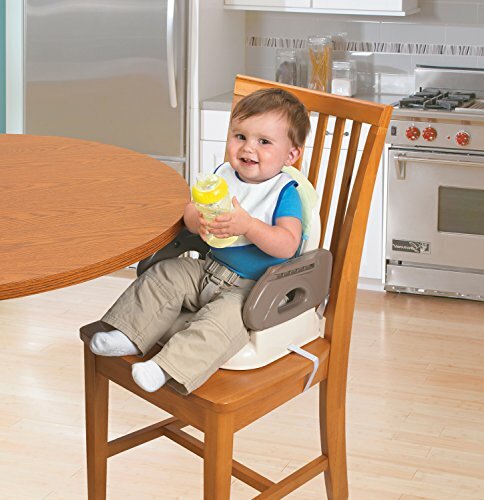 The height of the chair can be adjusted to the size of the baby and can take weight up to 75lbs. 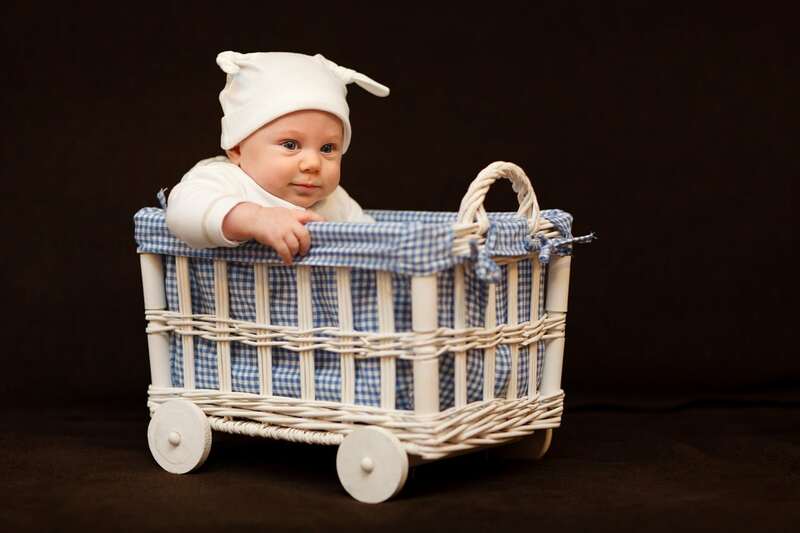 The tray could be a little high for a baby of age less than a year. 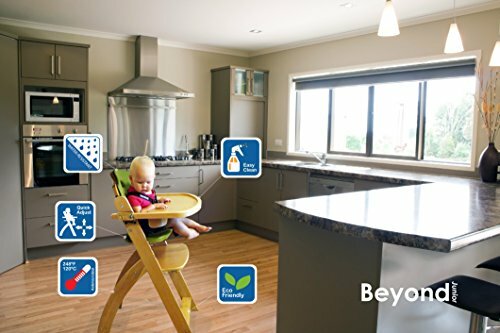 The Abiie beyond has won the 2015 national parenting publications award and for good reason. 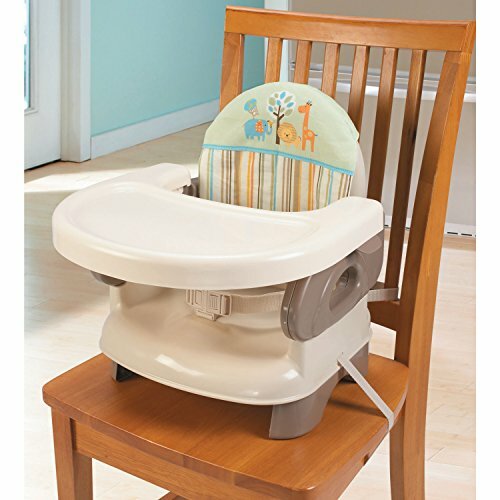 It’s one of the most well-rounded baby chairs out there offering excellent build quality and a plethora of features that will make your life easier. 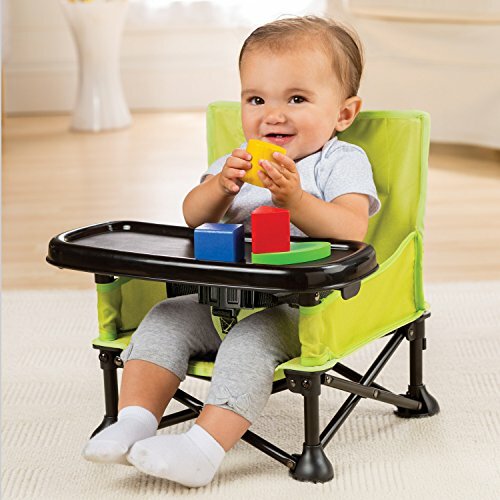 This baby chair is sturdy enough even for adults to sit on. 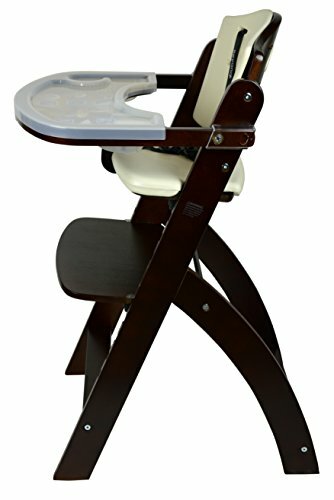 The seat and footrest can be adjusted easily to accommodate any height making it the perfect baby chair that will “grow” as your child grows. It can be transformed and be used as a normal dining chair for yourself or your guests. Perfect for saving space. 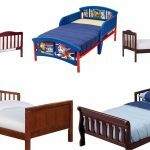 The cushions are stain resistant and waterproof, so it does not absorb any spills and are very easy to clean. It is very sturdy. It will not tip over under any circumstances and it will hold the weight of an adult. 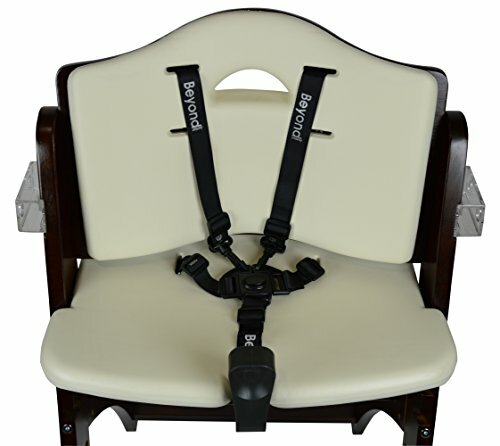 An adjustable 3-point and 5-point harness with a dual restraining system. Comes with a 3-year warranty so you don’t have to worry about anything. 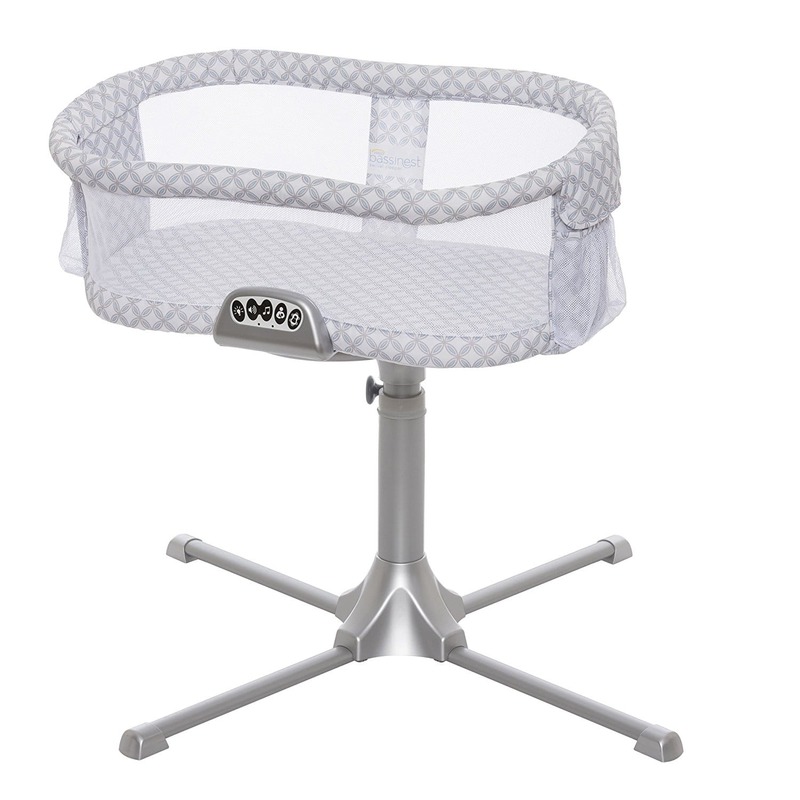 Anti-microbial heat sterilization – the chair has undergone high-temperature sterilization at 248 °F (120 °C) that ensures a hygienic environment for your child. Aesthetically pleasing design that will blend with your interior design. 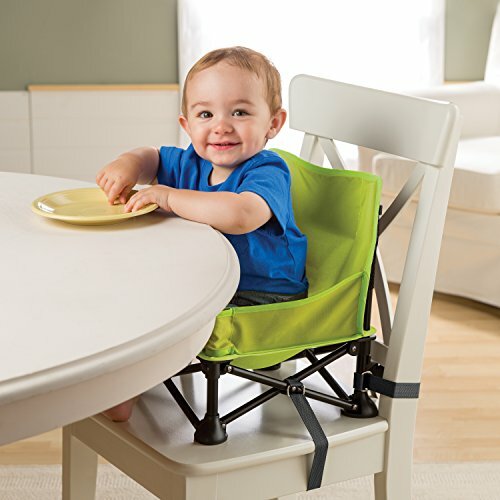 It may prove a little too small for adults when in normal dining chair mode. The most light-weight and portable chair of our list of the best baby chairs of 2017. 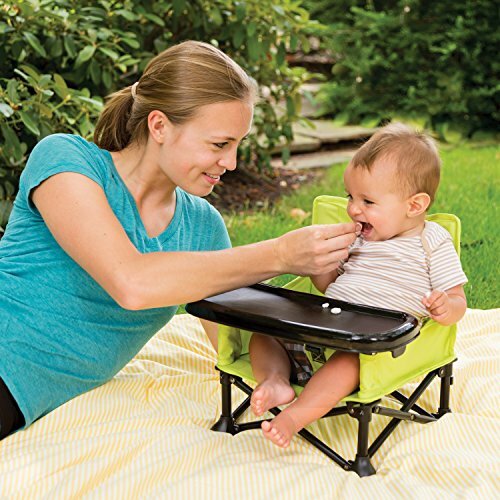 If you are living in a sunny state with a lot of outdoor space or you are taking a lot of trips, then you will love this baby chair. It’s light-weight, compact, and foldable and you can take it anywhere as it weighs just 4.8 pounds! It can, of course, be used indoors and it’s perfect both for feeding and play time. 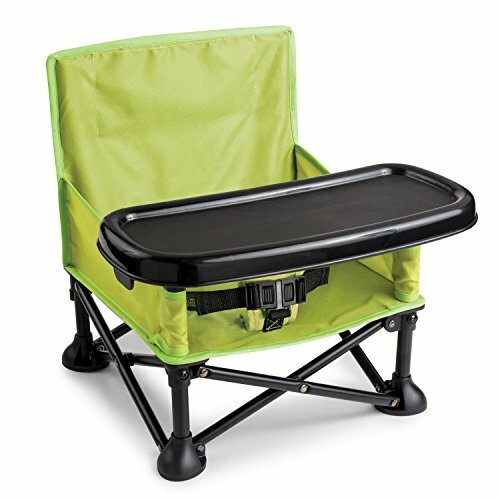 It has a compact fold and fits in the easy slide-in carry bag. Supports weight up to 37 pounds. 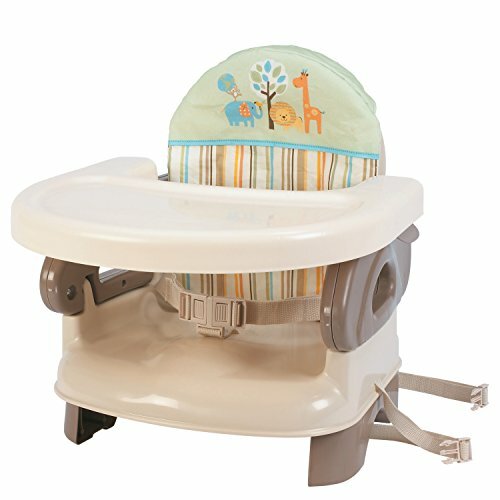 Can be used for babies as small as 6 months old. 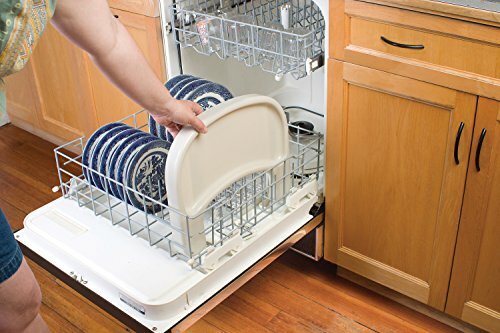 BPA-free, dishwasher-friendly, detachable tray for maximum convenience. Storage pocket at the back which are great for an outing or camping. 3-point safety harness to ensure the safety of your baby. 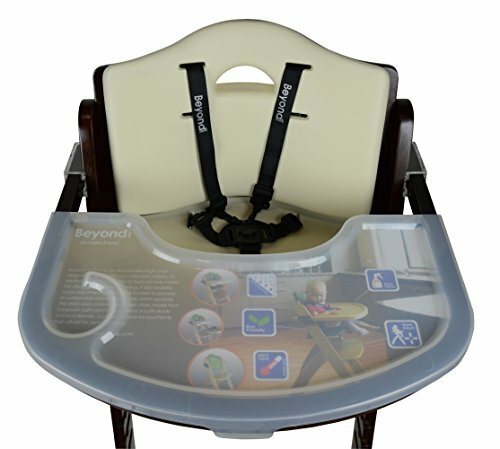 Safety straps are also included for placing it safely on an adult chair. Handy little transport bag to take it anywhere with you. 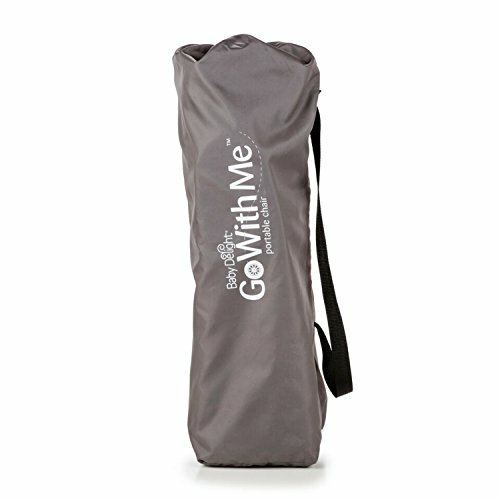 The storage bag has a mesh bottom which makes it ideal for the beach as any sand will fall and the water will drip if you rinse it off. Somewhat weird placement of the buckle. 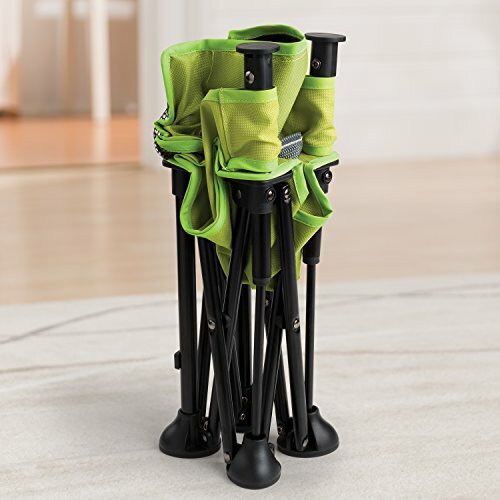 This is another perfect travel option when you don’t want the hassle of carrying a bulky baby chair. 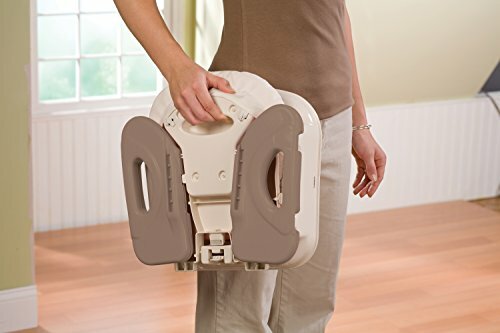 This booster seat could be strapped on any adult chair and is convenient to carry it everywhere you go as it weighs only 3.7 pounds. Even though it’s made out of plastic and not wood as some of the other finalists, it’s high quality and sturdy. 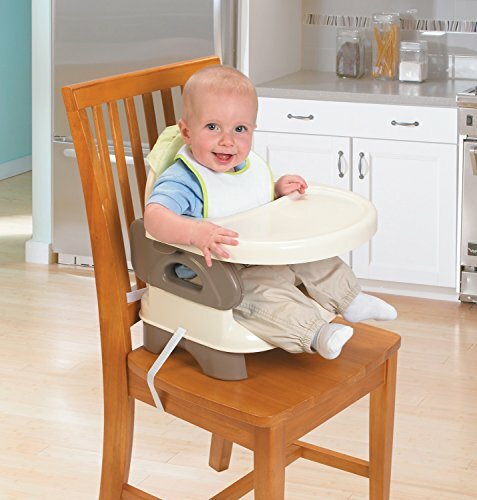 2-in-1 usage – could be used as a seat for your toddler as well as a seat booster. Removable, washable, machine-friendly seat pad. The straps are also machine washable. Features an extremely small footprint that saves space and it’s ideal for smaller rooms and kitchens. The back cushion is a little thin. 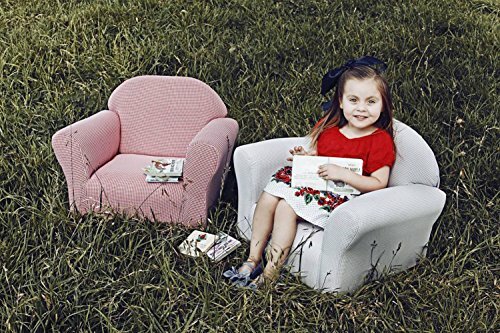 This is not exactly a baby chair per se as it’s targeting older kids but we thought it would be a great alternative to feature in the top bay chairs of 2017 for when your child grows a little bit older and a baby chair doesn’t cut it anymore. 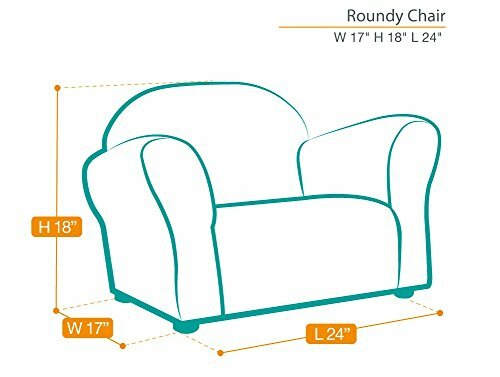 The KEET Roundy chair is an upholstered chair perfect for the babies who outgrow the high chairs but are still small for adult chairs. It’s ideal for that in-between period, did we also mention that it looks wicked? Cozy and comfortable covered with foam. 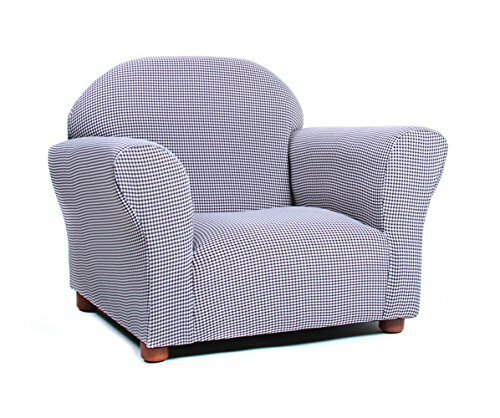 Made out of Gingham fabric which is very easy to coordinate. 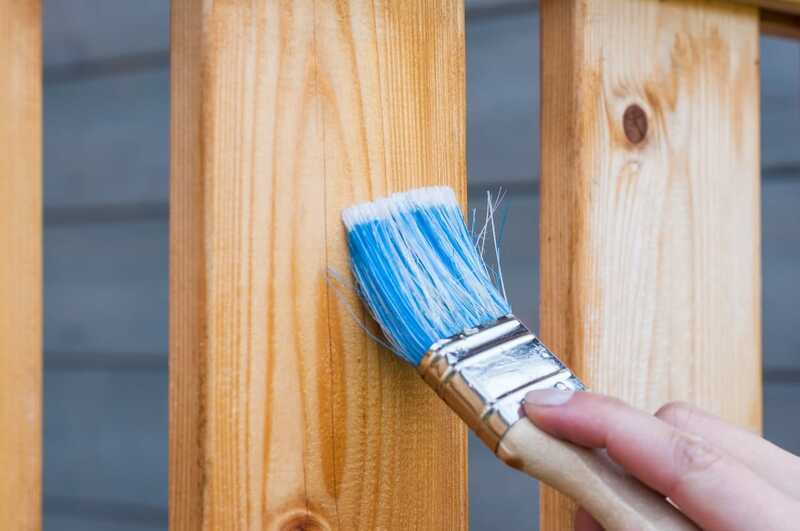 Sturdy wooden frame for support and stability. 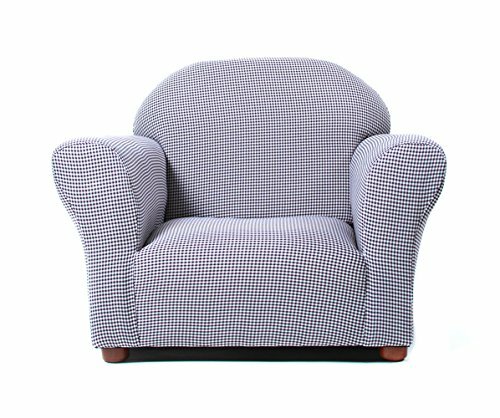 Upholstered with cotton, easy-to-clean woven fabric. 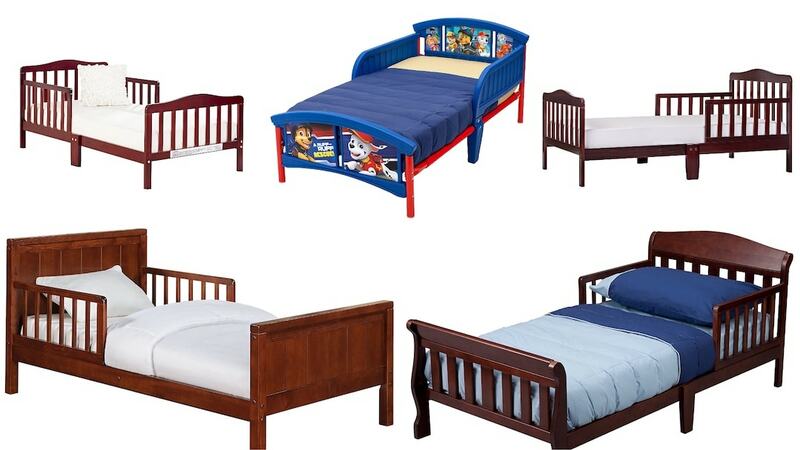 Suitable for children up to 5 years old or even older depending on the size. Features wooden legs for a real-furniture look. 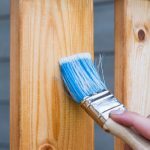 Large color variety to match the rest of your house design. Not the most portable and light chair. More convenient for indoors use. 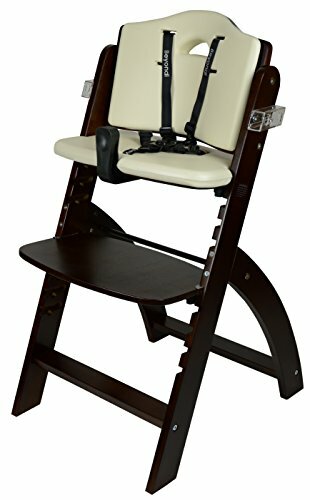 No safety straps or buckles, but it’s oriented for older kids. 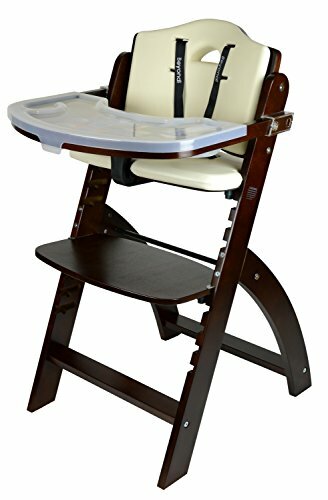 We have covered the top 5 baby chairs in 2017 and we are positive that you will find the right baby chair based on your particular needs. Whether your criteria are comfort, décor, practicality, durability or flexibility, there are options available for all. 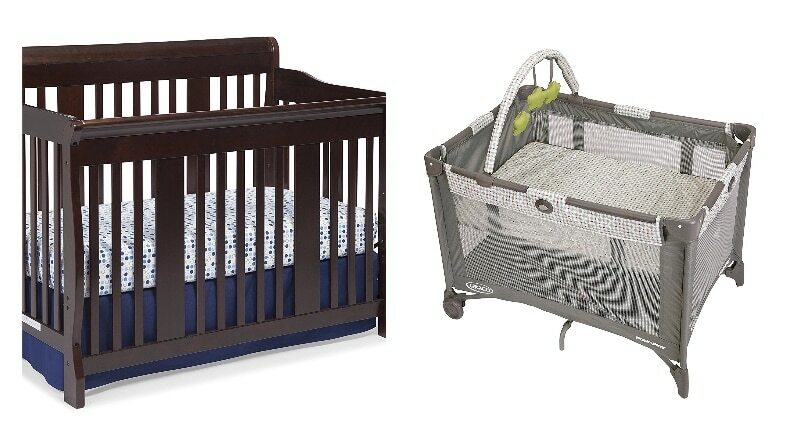 We’d love to hear from you: which baby chair did you select? Maybe you feel that we have missed another entry that’s more suitable — please leave your comments in the section down below!